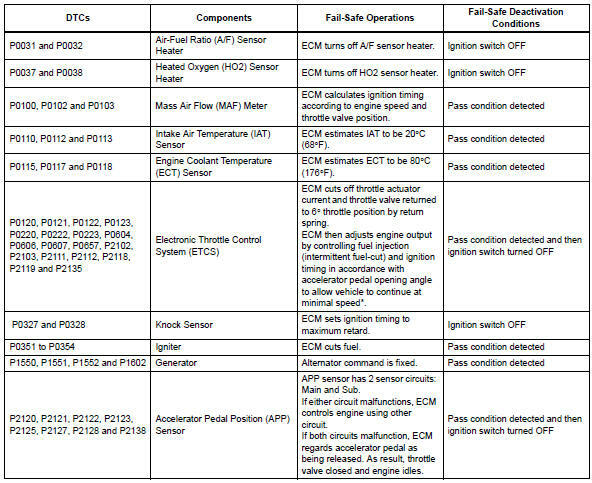 If any of the following dtcs are set, the ecm enters fail-safe mode to allow the vehicle to be driven temporarily. *: The vehicle can be driven slowly when the accelerator pedal is depressed firmly and slowly. If the accelerator pedal is depressed quickly, the vehicle may speed up and slow down erratically.